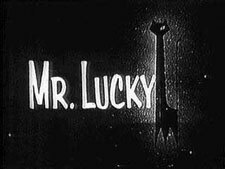 Mr. Lucky: Mystery and Suspense on Television. 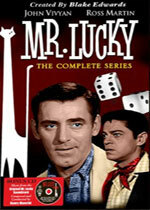 Created by Blake Edwards, Mr. Lucky aired for one long, 34-episode season on CBS from October 1959 through June 1960. John Vivyan stars as the titular character, a professional gambler who operated a casino anchored off an unnamed American port city. (Mid-season the casino setting was changed to a restaurant.) His business partner was Andamo, played by Ross Martin. The series was canceled after one season not because of ratings, which were quite high, but because the sponsors elected to discontinue their financial support for the show.